One of the biggest “side hustle trends” of the last few years is tapping into the growing “sharing economy” or peer-to-peer businesses. We’ve seen some fun examples related to platforms like Airbnb and Uber, and I believe tapping into these existing marketplaces can be a really fast way to begin earning job-free income. A few months ago a friend of mine sent me a note, mentioning that he and his girlfriend had made $2000 the last 3 months dogsitting. So when Jill Russell, the Senior Manager of Content for DogVacay, reached out to me asking if she could share some success stories, I was all for it. In fact, putting together this post made me want to give it a shot myself! Since I’m working from home anyway, maybe a little extra company would be nice! Would you quit your 9-to-5 at Goldman Sachs to watch dogs out of your apartment? That’s exactly what Michael L. of Queens, NY did a couple years ago when he happened upon DogVacay. The site, which launched three years ago, is often described as “AirBnB for dogs”—people who want to watch dogs create profiles and set their own nightly rates, and pet owners can find local sitters with a few clicks of the mouse. It’s a win-win for everyone. The sitters are all experienced animal lovers hand-screened by the company; the pups get to stay in a cozy home while their owners are away instead of getting holed up in a kennel; and the owners can relax knowing their beloved dog is in the best hands possible. Because DogVacay handles everything from scheduling (there’s a convenient calendar interface) and online payments to customer support and insurance, independent sitters are signing up in droves. Among the some 20,000+ active dog “hosts” across the U.S. and Canada are artists and creative freelancers looking to supplement their income, students, retirees, and even those who’ve turned sitting into a full-time gig. Michael is one of the latter. He charges $60/night per dog and hosts up to six pups at a time in his Queens apartment, which he shares with his wife, Julie, and their Goldendoodle, Toby. Nick’s notes: Wowzas! Up to $360 a night, for watching dogs?? Here’s a closer look at Michael and two more DogVacay hosts who are making good money doing what they love. Bona fides: 100+ reviews on DogVacay, with an average rating of 5/5 stars. Has booked an estimated 300 reservations to date. Owns one dog, Toby, a Goldendoodle. Nick’s Notes: I can totally relate to this. When Bryn and I travel, we LOVE to get pictures and updates about Mochi. 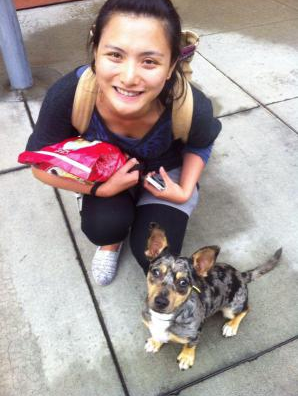 Bona fides: Booked 25 clients in her first year as a DogVacay Host, including 10 repeat clients. Has 40 years of pet care experience. “While trying to build a fine art photography business, I was working part-time as a caregiver for elderly people, which was very rewarding, but being the animal lover that I am, I really wished I could take care of pets. I couldn’t get into pet sitting companies at first because they all wanted you to commit to a certain availability every week, and I couldn’t do that while working on my photography. I got a break over the holidays when I answered an ad from a dog walking company for extra help. It worked out very well, and they let me stay on as a ‘floater,’ and I was able to begin to board dogs for them as well. “I highly recommend DogVacay for those who love animals and enjoy being able to make money from home. Forget about stuffing envelopes and making puppets (my own horror story for another time). I like everything about DogVacay. The website they provide for you as a sitter is excellent. I love the fact that all your conversations are there. It’s nice to get an email first instead of a phone call. It really helps me to review the situation and what the client wrote about their dog so I can prepare before talking to them. Sending an invoice is easy, getting paid is prompt and easy, and you don’t even have to ask the client for payment—DogVacay does that. I like knowing I have someone to call in case of an emergency. I like the insurance coverage. I like the fact that your client wouldn’t be stranded should you get sick or injured. They’re already in the DogVacay system and can be matched up with someone else based on the notes we write about our experiences with the pet. Bona fides: Hosted more than 30 different dogs over the past seven months. Owns one dog, a 2-year-old mixed breed, Cola, and has 10 years of pet care experience. 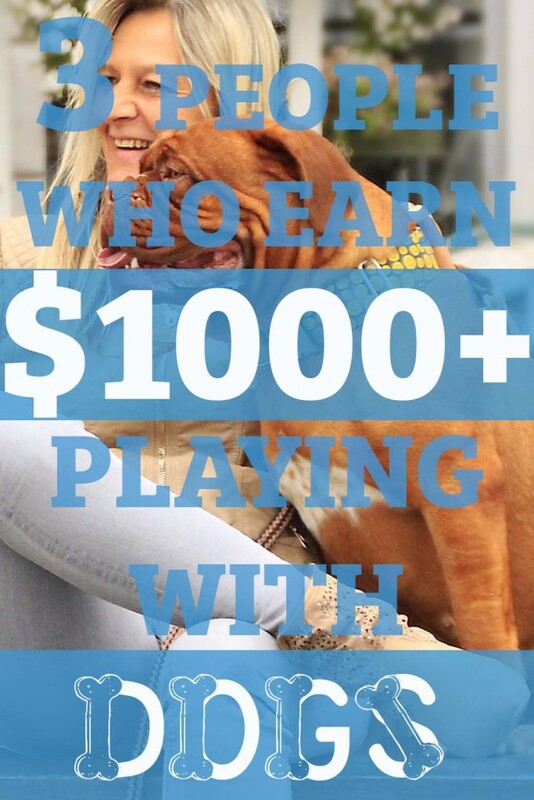 Could Dogsitting Be Your Next Side Hustle? I don’t think dog sitting will be my next project, but I like this idea so thanks for sharing Nick. It’s interesting to see the airbnb concept be stretched out to different niches and industries. I know, right? There’s a sharing economy app for just about everything now! Before venturing in this area, best check out the law and ordinances in your jurisdiction for both pet sitting and zoning. Also, check with your insurance broker–assuming you can legally do this where you are–for needed coverage. Not being aware of controlling laws in your jurisdiction could put you in a world of economic hurt–or get you evicted. Good points. Thanks for stopping by Adam! This is one of the businesses being planned in our intentional community for Autistic people. Plus, many other jobs related to animals. People seem to love their pets more than ever [ look at all the hotels now animal friendly] We plan to have doggy t-shirts with our logo on them so that all of our guests can bring home a great souveneer! Sounds like a winner Vicky, thanks for stopping by! Great post and we love the dogvacay idea – so much better than an kennel! Excellent article Nick! i wasn’t aware of Dogvacay. My wife and I have been dog sitting for a little over half a year at this point. We’ve made at least 3 grand and have been fortunate to have a few repeat customers. Forging new relationships with the owners is always fun, not to mention profitable. Nice! Sounds like it be a great new channel to find customers for a service you’ve already got running. I just love the idea!!! Just another of the little thought of ways outside the “norm” to make a living or some extra cash – and like many of them it doesn’t involve much except time and it’s fun! DogVacay used to be GREAT. I’ve been with them for 3 years since I also work (a J.O.B., for now….) at home. However, in the last say 6-9 months they’ve changed how their focus & no longer seem to value their sitters. Everything DV does is based on getting the client to book without regard anymore for the sitter’s needs, or even safety. They are encouraging “instant booking” instead of taking the time to get to know a potential client and their dog/s… Remember, this is strangers coming to your HOME (or, as a house sitter, going to a client/stranger’s home!). They want you to agree to bookings without even talking to the client, and very little information about the dogs is required to be input by the client. Now my profile (with 26 glowing testimonials btw) is on page *5* (for my OWN zip code, which is a small city in the midst of a larger metro area) to 15-30 profile views/month and $100 average earnings/month. VERY disappointed in the business decisions they’ve made. I used to feel – and be – appreciated as a sitter, not anymore. More examples of changes: they require a sitter to keep their repeat customers booking via the site (which I for one was happy to do when I felt valued and that I as a sitter was being treated well/fairly), but these changes do not inspire loyalty. It used to be a great side gig, now, meh. It may still get you some biz but it’s nothing like it used to be. Rover.com is about the same; I use both and still do word of mouth of course.